Multiplayer gaming on Xbox One may be a little more vocal this generation than last, as Microsoft revealed that its new Kinect is able to understand two voices simultaneously. This surprise functionality was revealed by the Microsoft's Corporate Vice President Phil Harrison while Kinect Sports Rivals was being shown at the Eurogamer Expo in London. Kinect Sports Rivals, a game being developed by the Microsoft-owned British developer Rare, could easily use the ability to differentiate between two talking heads for its sports challenges. This further enhances Microsoft's next-generation camera input, which we already knew could track up to six players, 25 joints among them, 1,400 points on a face and detect heartbeats. Interestingly, Kinect's ability to understand overlapping voices isn't the only feature that Microsoft was keeping its lips sealed about until this weekend's expo. 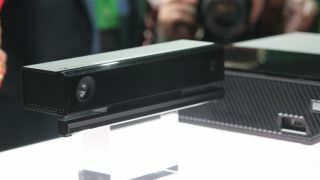 The 1080p Kinect is also said to be powerful enough to read mouth movements in the dark. That's a significant improvement over the first Kinect camera, which ran into trouble with basic functionality in low-light conditions. Why Microsoft hasn't touted these innovative Kinect features before is a mystery. After all, many gamers have questioned why they're being forced to buy the included Kinect, making it more expensive than the PS4. We asked Microsoft that very question and will update this story when we hear back. Read our iPhone 5S review for our opinion on Apple's new camera.